If you’re looking into becoming a blogger, then you might well be doing it because you want to make a lot of money. Chances are that you’ve probably seen videos and adverts about people who claim to make money online and you might even have been reading blogs about the subject. Often these adverts and blogs make blogging out to be the answer to all your problems. These videos are often presented by entrepreneurs who live on exotic beaches, or on yachts. Some of them will start out by showing you around their mansions or their Ferraris. We’ve all seen that incredibly irritating post by Tia Lopez where he starts by showing off his garage. But don’t think that means that all the big name internet marketing ‘gurus’ out there are liars. And don’t presume that means you can’t get rich from blogging. The fact of the matter is that you can get rich from blogging. Many people will be able to give up their full time jobs and make a career off of a blog and some of the top bloggers will genuinely be able to make six figure salaries from doing what they love. But for every one person who makes a billion dollars from a blog, there are many, many more who are making $10 a month. At the end of the day, it doesn’t really make sense to ask how much money you make ‘from blogging’. Really, a blog is a means to an end and a tool that you can use in order to make money through other means. More specifically, a blog is a means of communicating and broadcasting your message to a wide audience and in that regard, it’s a little bit like asking ‘how much money can you make from an advert?’. If you’re going to make money from a blog, then you’ll need some form of business model that allows you to turn visitors into buyers. That might mean that you have a Google AdSense account, or it might mean that you’re selling products like books or courses from your site. You can then workout what percentage of your visitors are buying from you and how much they spend on average. This will then give you a rough estimate of how much you can make from each customer. From there, it becomes a simple matter of working out how to increase the number of visitors you get to your site on a daily basis. From there, you can just multiply the number of visitors by the average value that each visitor brings you and you have your profit! So if you have a blog with 1,000 visitors a day and you make roughly 10 cents per 1,000 visitors through AdSense clicks, you can expect to earn 10 cents per day. If you have a blog with 100,000 visitors a day with that same business model, then you can expect to make $10 a day. If you have that many visitors but you sell an ebook for $30 and sell one for every 50,000 visitors, then you’ll make about $60 a day! There’s no upper limit and no ‘average’ – it’s all about how you build your blog and grow it. Meanwhile, try listening to the good advice on the web, from the bloggers that are genuinely making money and transparently sharing their techniques. 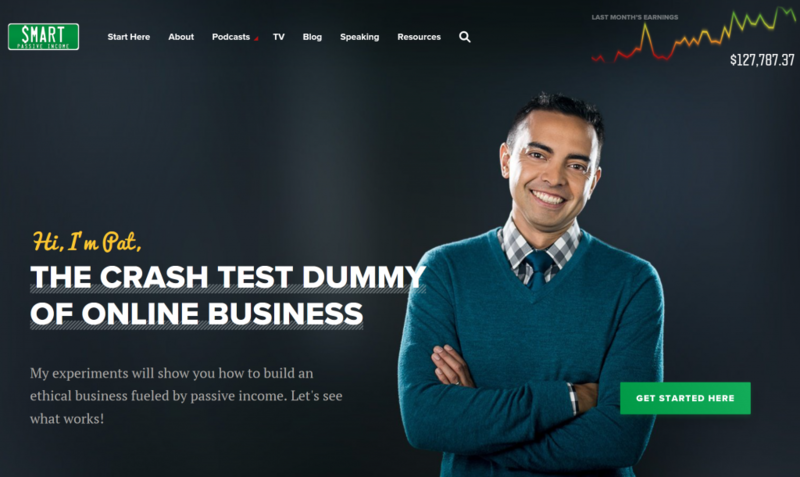 Pat Flynn of Smart Passive Income.com is one example of someone who is happily sharing the knowledge and helping a lot of people in the process! This might be a disappointing answer if you were hoping for a figure so perhaps what would be more useful would be to look at the rough timescale you can expect to start making good money. The best answer is that you should never get into this expecting it to be a get rich scheme. To begin with, the easiest way to make money from a blog is through PPC methods like AdSense or perhaps through an affiliate program. In both cases, you’ll need a lot of visitors before you start making any real profit from this. Creating your own product is a good way to increase the amount of money you make per visitor because you’ll get to keep the lion’s share of the profit. But this takes an investment in itself and it still will require a lot of learning on your part to maximize sales, as well as a lot of visitors more generally. You can expect to reach 1,000 visitors a day by the end of the first year if you’re very lucky. And if you monetize this well, then you’re talking about a fair bit of pocket money. By the end of year two, you may be able to get this up to 50,000. By year three, you can expect to start moving toward 100,000 or higher – but only if you’re very savvy and you work very hard. The good news is that the increase in visitors comes exponentially, so while things might be slow to start, they will gather momentum as they go. But there is always an element of luck and you do need to have a smart business strategy in mind before you set out. This is why it’s key that you approach blogging with the right mindset. Don’t do it for the money – at least not to begin with. Do it as a hobby and enjoy the additional income. That way, you won’t be disappointed and actually, you’ll stand a much better chance of eventually making the big bucks.